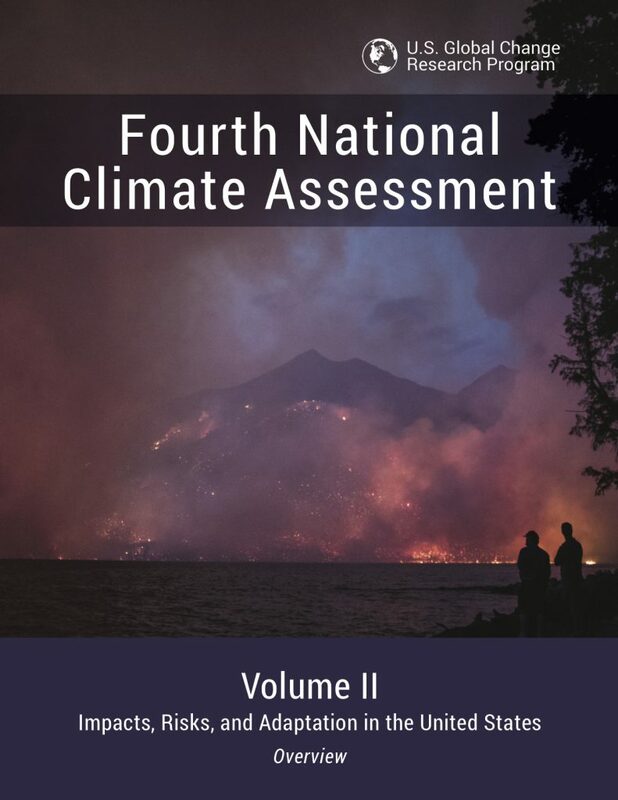 The Fourth National Climate Assessment (NCA4) fulfills that mandate in two volumes. This report, Volume II, draws on the foundational science described in Volume I, the Climate Science Special Report (CSSR).2 Volume II focuses on the human welfare, societal, and environmental elements of climate change and variability for 10 regions and 18 national topics, with particular attention paid to observed and projected risks, impacts, consideration of risk reduction, and implications under different mitigation pathways. Where possible, NCA4 Volume II provides examples of actions underway in communities across the United States to reduce the risks associated with climate change, increase resilience, and improve livelihoods. This assessment was written to help inform decision-makers, utility and natural resource managers, public health officials, emergency planners, and other stakeholders by providing a thorough examination of the effects of climate change on the United States.